Tuesday, January 30, 2018 (Miami, FL): YachtWorld, the world’s largest network for brokers and buyers of luxury vessels and yachts, has launched a partnership with Marinalife, the most extensive web directory of marina information, to power a membership-based program that connects boaters to a North American community of experts and resources to enhance their yacht ownership. 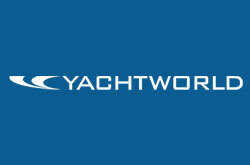 About YachtWorld: YachtWorld is the world’s largest network for brokers and buyers of luxury vessels and yachts. With an average of 110,000 listings and 1.6 million unique visitors a month to our website, www.yachtworld.com, we own the global online marketplace. We offer our customers websites in 13 different languages, boats in 140 different countries, and the world’s largest broker-to-broker MLS with over 60,000 boats available for co-brokerage. In addition to online advertising, YachtWorld also offers boating customers a full suite of marketing solutions, brokerage management software, and website services to promote their businesses. About Marinalife: Marinalife provides premium content and valuable services for all types of boaters. The Marinalife Cruising Club membership offers boaters access to detailed marina information, travel resources including trip itineraries and destination guides to make their next boating adventure stress-free. In addition, the Marinalife magazine, a quarterly travel and lifestyle publication, provides boaters with entertaining and useful articles about destinations, marinas, cruising stories, captain’s tips and more. Marinalife was recently acquired by Snag-A-Slip, the fastest and easiest way to find marinas and reserve boat slips online. For more information visit: www.marinalife.com; call: 1-800-736-8275 or email: info@marinalife.com.